Have you ever gone to the doctor’s office without any particular problem, just to get checked up? You probably have, along with the average American. Well, a tune up for your vehicle is the same type of thing. At Schulz Garage, we are a bit like car doctors, and can sometimes spot issues that your car might have in the future, and counteract them before they happen. 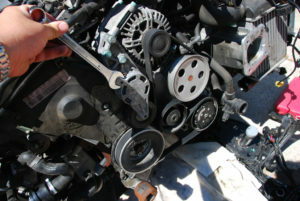 Routine tune ups, even just once a year, are great steps towards prolonging the life of a vehicle. Even if nothing is immediately wrong with your vehicle, taking it in for a tune up allows professional mechanics with experienced eyes to look over your vehicle and make any fixes or adjustments that prevent far costlier damages down the road. If you are waiting until your vehicle is damaged to take it to a professional, then you are probably missing out on preventing that damage before it occurs. The amount of time in between tune ups varies from vehicle to vehicle. All cars typically specify in their owner manual how often the manufacturer recommends getting a tune up. Typically, the rate at which an owner gets their vehicle tuned up will increase over the life of the vehicle, as older cars are more liable to have problems the longer they have been driven. Get Your Car a Tune Up, Today! If your or someone you know is looking to get their car tuned up in Medford, or the surrounding areas in Oregon, then don’t hesitate to stop by our garage today. Our friendly and professional staff will work to ensure all your auto problems are solved!